Brittany Cartwright has dropped 25 pounds and is feeling better than ever. 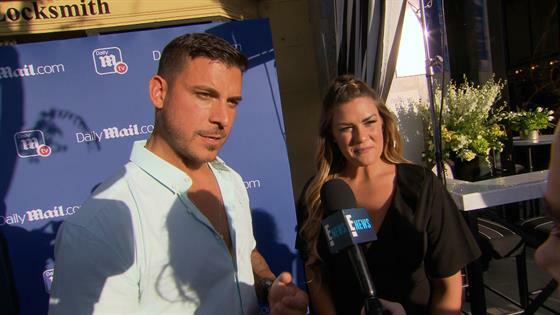 The Vanderpump Rules star is counting down the days until she becomes Mrs. Jax Taylor, and while her wedding day is a motivating factor, her goal is to ultimately be "happy and healthy." "Being healthy and fit makes me feel so much more confident and happy with myself. It feels really great when you start seeing results and your old clothes start to fit again," the 29-year-old explained to E! News exclusively. And she isn't alone on this fitness journey, with her fiancé and friends, who she says "have all been so supportive," cheering her on every step of the way. When asked about her fitness regime, the Kentucky native said that her key to success was running, and lots of it. "For me running is everything. Interval training really helped jumpstart my weight loss. I also started going to classes at Sweat Garage and it helped to keep me focused and have direction instead of trying to go to the gym and workout on my own," Brittany shared. The star also credits a healthier diet and a lot less take-out food. But that doesn't mean it's all clean eating. She admits, "I still have to have my cheat days! I try to eat clean for the most part, eating salads cooking a lot of baked chicken and vegetables at home, but I love my cheat days I just make sure I have them in moderation now." It helps that she has a workout buddy to keep her company, with Jax joining in on the action. "I am so so proud of Jax. He has also lost a lot of weight and it is so great to have someone by your side helping you through your journey," Brittany gushed. Most importantly, the star hopes to inspire others with her transformation. "You can do it! Be patient because it doesn't happen overnight but once you start to see results you will be hooked and so happy that you stuck it out! My weight has always fluctuated so I was getting down on myself, but once you change those habits that aren't making you feel like you, and start a healthier lifestyle, you feel great and you get that 'sparkle' right back!"